Beautiful card Joan! And yes that something special inside the envelope really makes a difference! 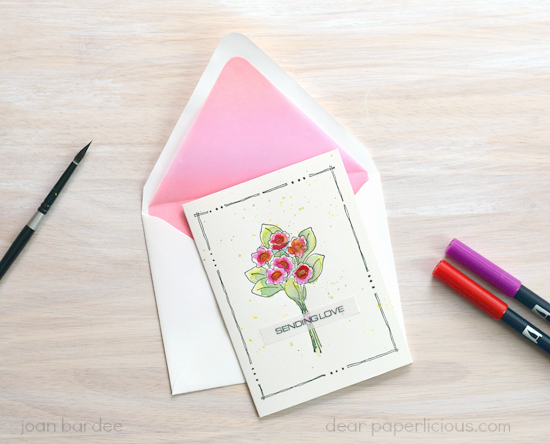 Love your pretty card next to that gorgeous pink vellum lined envelope! I haven't used mine in awhile but you have inspired me! Thanks for sharing, Joan! Happy Mother's Day! I just remembered I have an envelope liner die sitting in a drawer. Thanks for the push to start using it! That is a great idea, I always forget to line the envelope but you're right - it is classy. 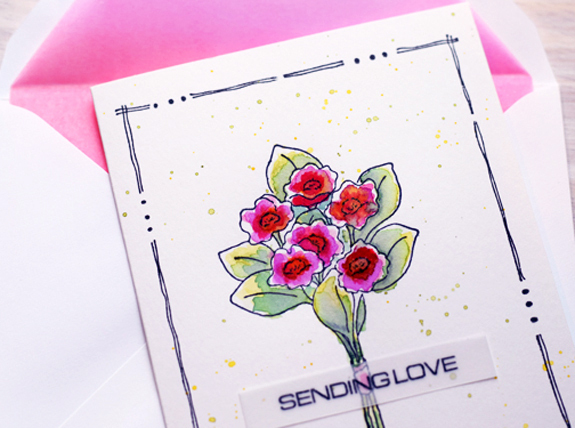 Your card is lovely - pretty flowers and I love that border. I thought you had drawn it until I read the description. You could have drawn it, though. I love the look of envelope liners and am always impressed when I receive a lined envelope. But I don't seem to have enough "go go juice" left in me after I'm done making my cards to go to the trouble of lining an envelope myself lol! It's just one of those weird things about me, of which there are many :) Happy Mother's Day, Joan! 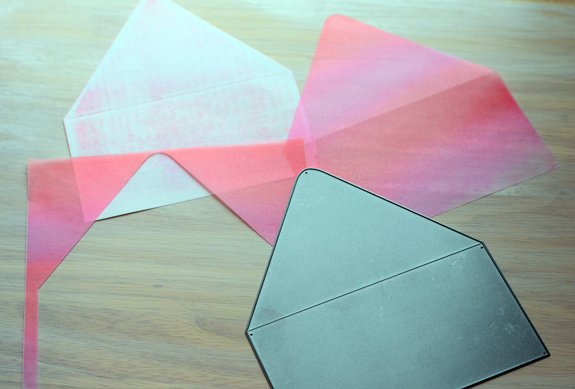 I love the look of lined envelopes, but wonder how much they are actually seen by the recipient. We tend to use one of those envelope slitters to slit the envelopes in our mail, then take the contents out. I'm not sure I would even see if the envelope was lined. So that tends to make me hesitate to use them. the free downloadable template site says no longer available....Booo I really like yours and wanted to give it a go. Sorry about that. I edited the post to remove the link. I should have checked it more carefully!